On Tuesday 18th and Wednesday 19th we were very pleased to welcome our special visitor: Alison Wright. Alison’s mother took the Thalidomide drug during her pregnancy and so Alison was born with short arms. 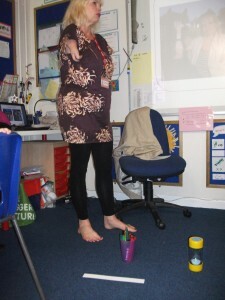 This hasn’t stopped her being a mum, a speaker on disability or a member of the British Paralympic Team. 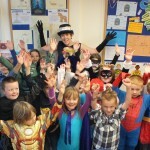 She told us to live by the words of Winston Churchill and never, never, never give up! 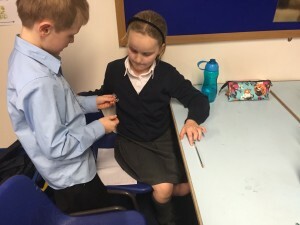 Alison says having short arms just means you have to think ahead and solve problems and that’s what we tried to do when we had a go at tidying up, writing and putting on a sock with our toes! 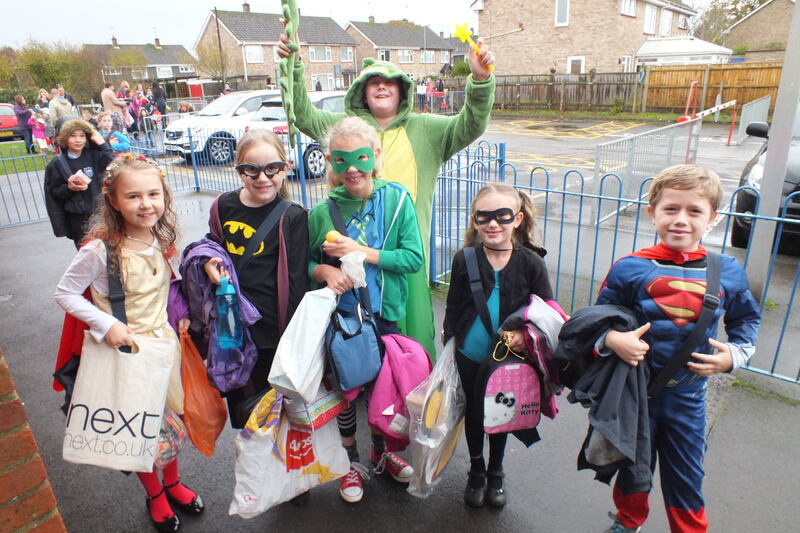 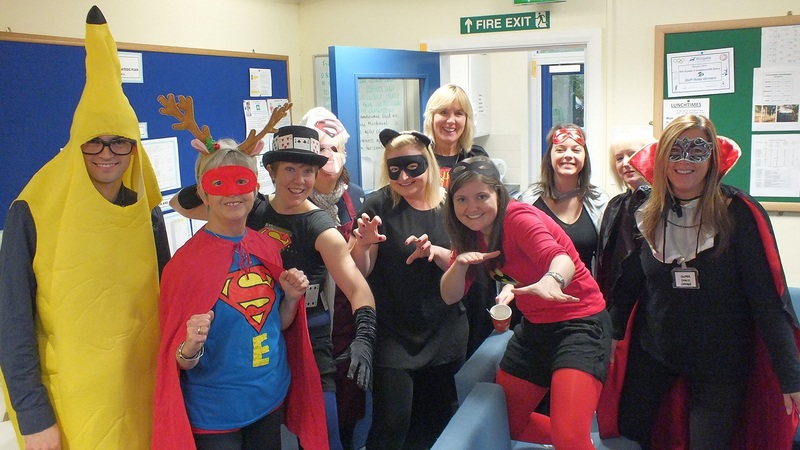 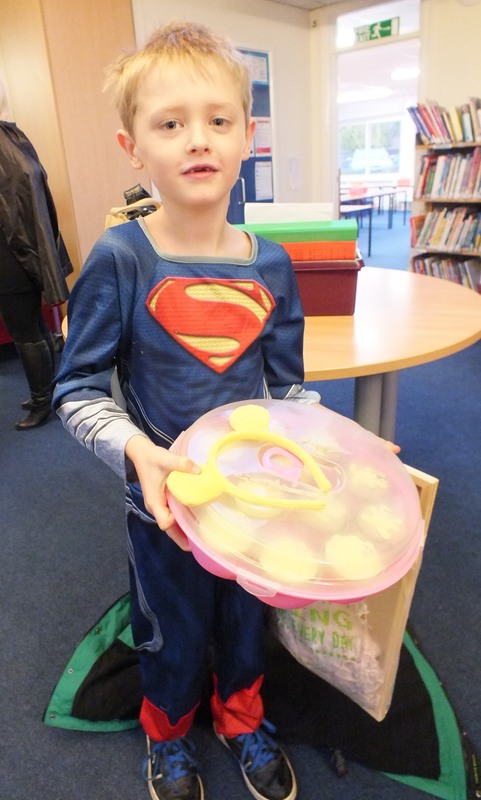 Well in true FJS style, we came ready to raise money for Children in Need 2014. 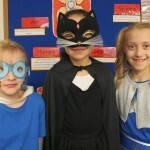 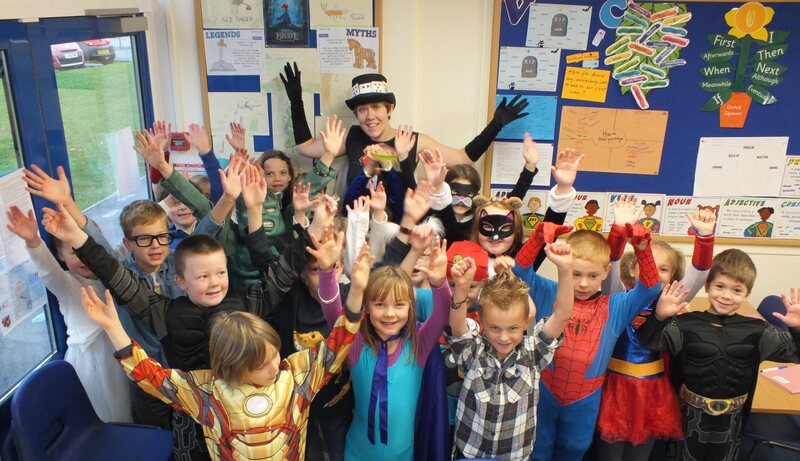 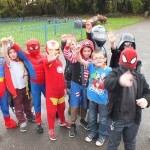 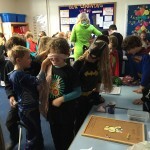 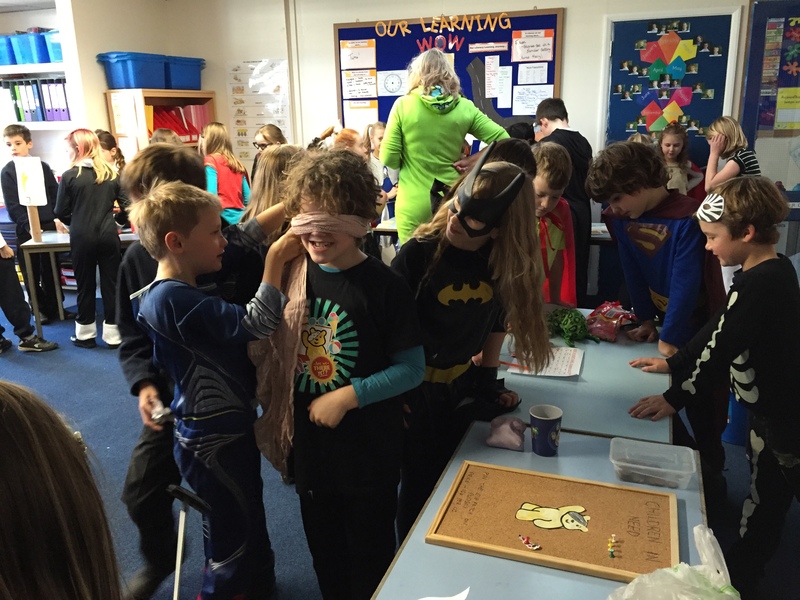 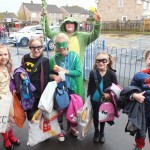 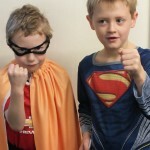 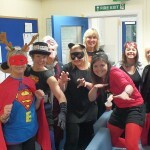 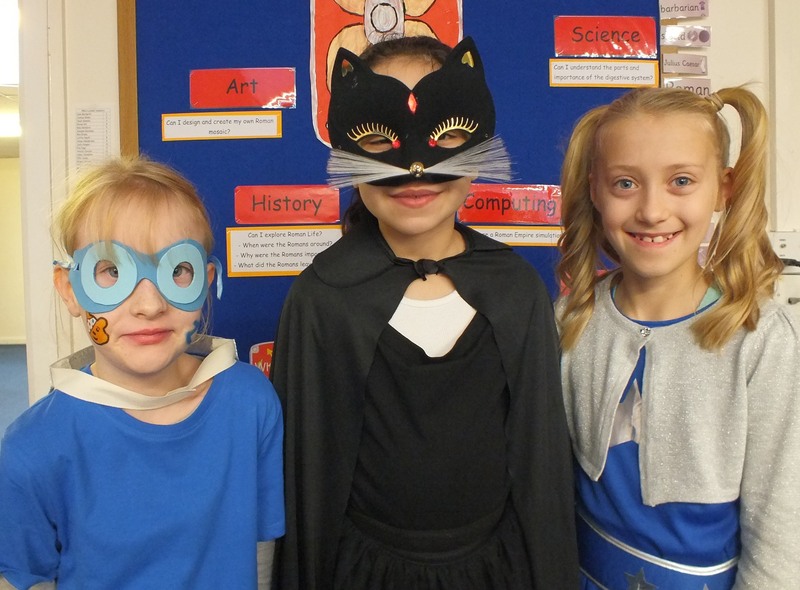 We all dressed as superhero’s, creating our own names and powers! 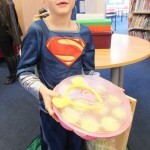 Many of us came armed with cakes ready for our cake sale and the BBC news came to film us arriving at school. 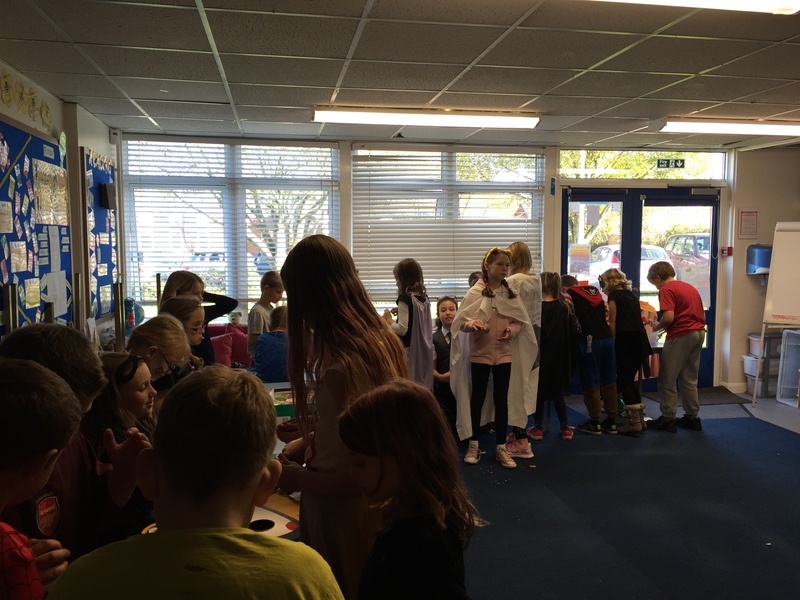 This year was no different and our traditional afternoon of games was enjoyed by the whole school community. 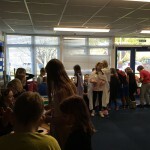 Much hard work goes into creating our own games which are run and the rest of the school enjoy playing (and winning!). 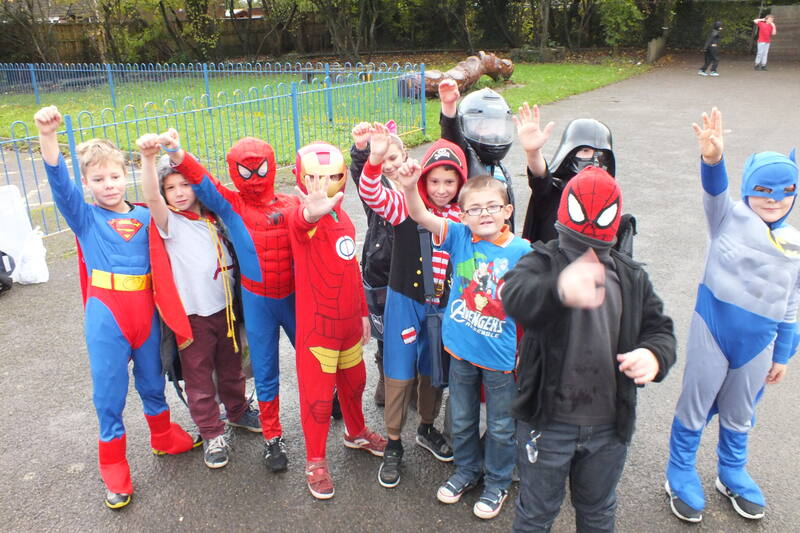 After a wonderful day where much fun was had we needed to remember that we were raising money for such a worthwhile cause. 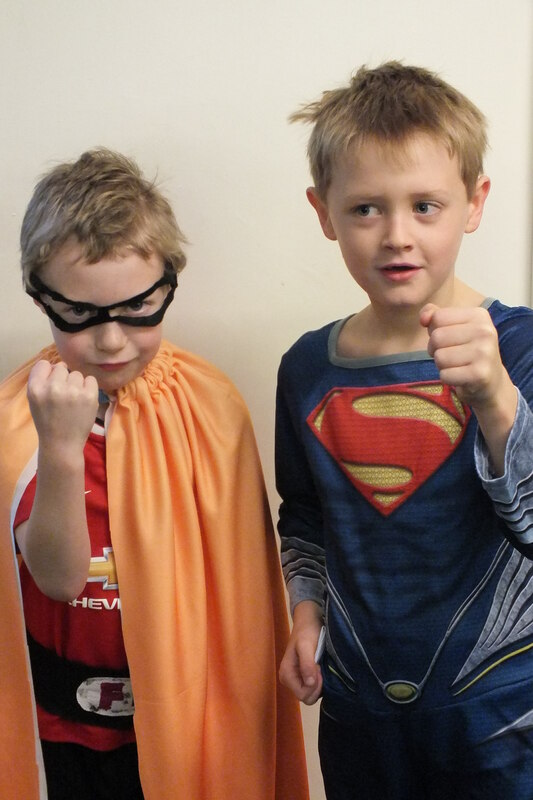 We await the announcement of the grand total amount raised and hope it is a new school record. 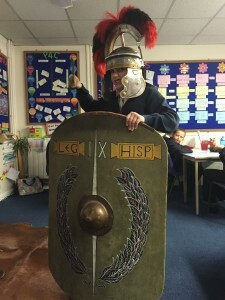 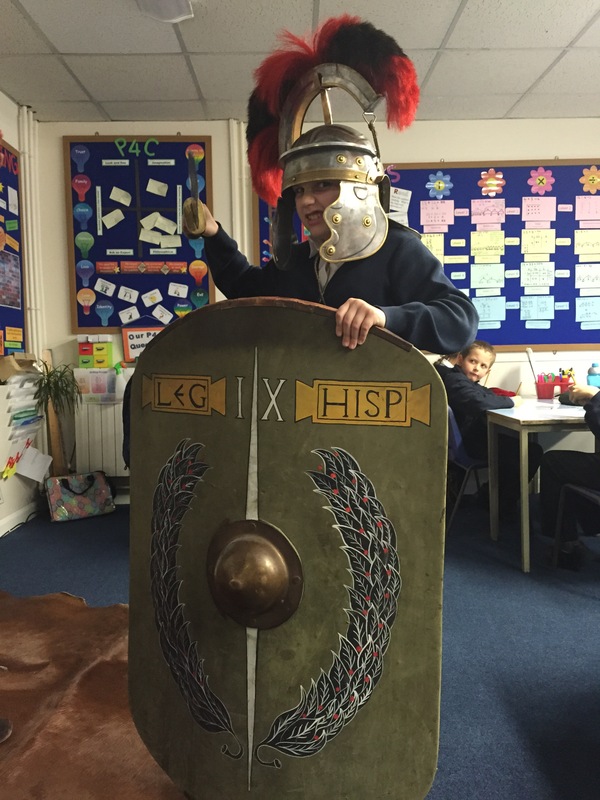 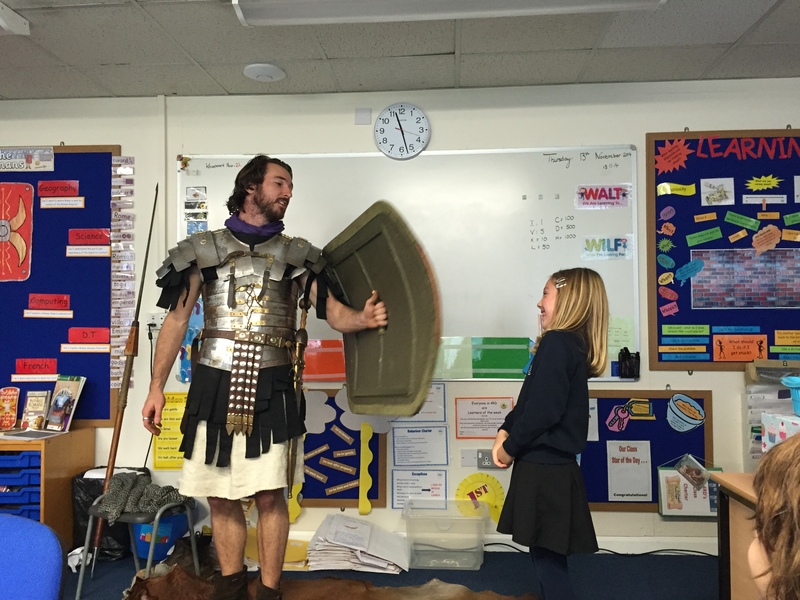 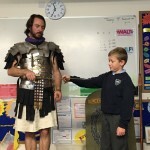 This morning Year 4 welcomed a Roman from Butser Ancient Farm to kick off our learning unit! 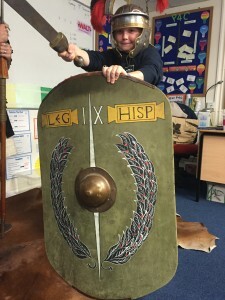 We had a wonderful day learning from an expert about the arrival of the Romans, their legacy, as well as teaching us about the power of the Roman Army. We prepared questions and our expert was able to accurately answer them. 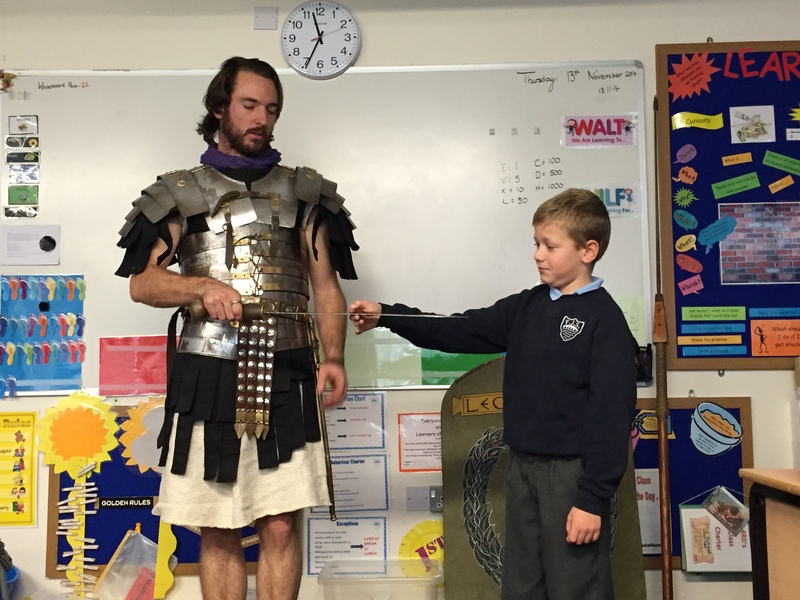 We had took part in outstanding workshops to help us with our understanding and to bring our learning alive. 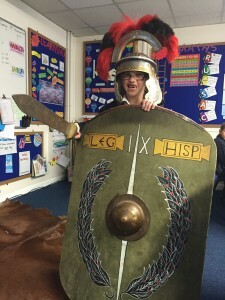 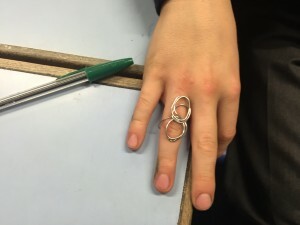 The workshops included learning Latin commands, practising marching as the Roman Army, dressing up as a Roman and making our own Roman jewellery. 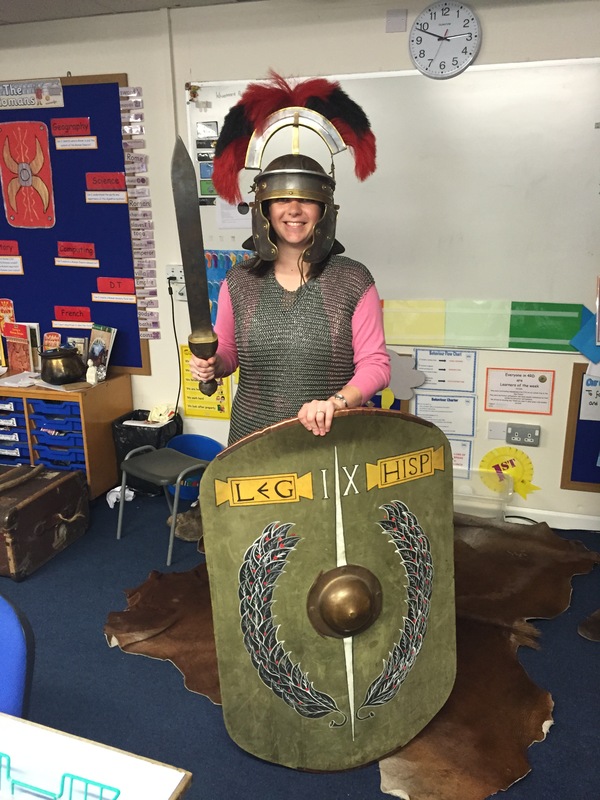 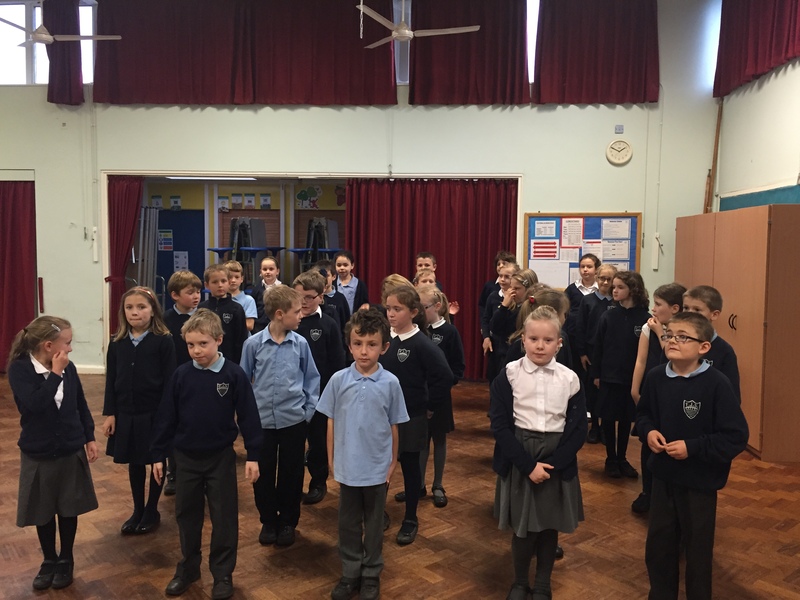 It was a captivating day which has given us a some fantastic information to use during our learning unit and motivated us to find out more, watch this space….